The primary cause of tooth pain is decay. 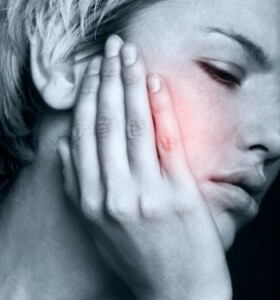 Toothache pain can be extremely distracting and often become a sufferer’s sole area of focus. The time between experiencing toothache pain and seeing an emergency dentist can be excruciating. This post examines toothache pain and offers some tips on what to do until you are able to get a dental appointment. If it seems like your tooth ache pain always comes on suddenly at night, you’re probably right. Most tooth aches are most pronounced when you’re trying to sleep because of the increased blood pressure to your head when lying down. Try to sleep in an elevated position to limit this effect. Warning signs of a persistent toothache can include sharp, shooting or throbbing pain at irregular periods. If you experience these symptoms, schedule an appointment with a dentist as soon as possible. The best way to stop toothache pain is by seeing a dentist as quickly as possible (Dr. Stone sees emergencies the same day). Severe pain is considered a dental emergency and should be treated as such. When calling for an appointment, give the receptionist an honest accounting of your pain and condition. 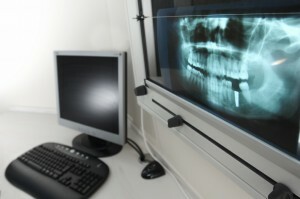 Most dentists leave some flexibility in their weekly schedules to accommodate dental emergencies. The primary cause of tooth pain is decay. 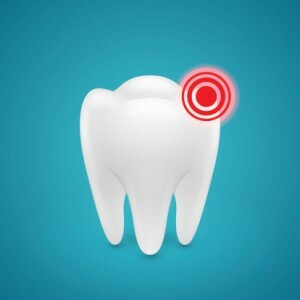 Once you have reached the point of pain, pre-emptive options have likely passed, but the quicker your problem is addressed, the more likely you are to be able to save the tooth, and save in the wallet. Additional causes of toothache pain can be gum disease, an ear infection, sinusitis or other similar conditions that inflame the general area around the mouth and jaw. These types of pain are known as radiated or referred pain and are fairly common. The best way to treat radiated pain is by discovering and addressing the root cause. Anti-inflammatory pain medications, such as aspirin or ibuprofen, can provide some immediate tooth pain relief by relieving pressure on nerve endings. When selecting a product, look for one that lists toothache pain relief on the bottle. There are many topical applications available at your local drug store. The most effective tend to be gel-based oral pain relievers containing benzocaine. Benzocaine is a local anesthetic that works by temporarily blocking nerve signals in your body. Toothache drops do work temporarily and have an oil of cloves base. Home remedies include garlic cloves, salt water or peroxide rinse, and applying a warm tea bag directly to the affected area. Sometimes heat may exacerbate the pain and many people also find relief by holding an ice pack or bag of frozen vegetables against the outside cheek of the affected area. A popular home remedy for throbbing pain involves soaking a cotton ball in a mixture of a few drops of garlic clove oil and a small amount of olive oil, and applying the cotton ball to the area of pain. This is a relatively new variation on the traditional home remedy of chewing directly on a garlic clove. For swelling or irritation of the gums, placing a warm (moistened) tea bag against the affected area can provide significant relief. This should not be used on a regular basis though, as constant exposure to tea can cause staining of the teeth and gums. The tea does not treat the infection and is only symptomatic treatment. Salt water and peroxide rinses act as cleaning agents that can help remove contaminants and limit the spread or growth of bacteria. However this does not replace regular brushing and flossing. If you think you have an impacted tooth or infection, rinse periodically throughout the day until you are able to see an emergency dentist. It is important to take any steps necessary to avoid infection. Antibiotics will likely be necessary. The pain won’t stop until the infection is stopped.